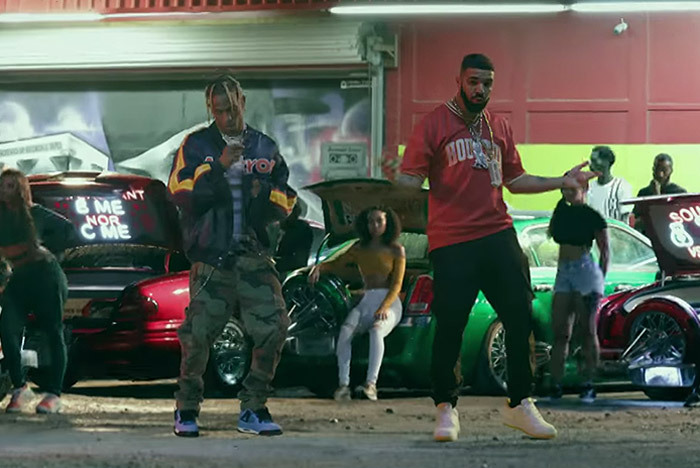 Travis Scott blasts off in the highly-anticipated video for his Drake collaboration off Astroworld. Directed by Dave Meyers ("Stop Trying to Be God") and shot in Travis' hometown of Houston, the tripped-out visual is a thrill ride filled with head-spinning moments. It opens with Drizzy walking a dog as the giant sun hovers above his head. Travis pulls up on horseback before playing different roles including an R&B crooner and a professor. After flying through space, Drake links up with La Flame in the parking lot of Screwed Up Records & Tapes, and someone even gets knocked "out like a light" by a giant rock. "Sicko Mode" is currently No. 6 on the Billboard Hot 100.